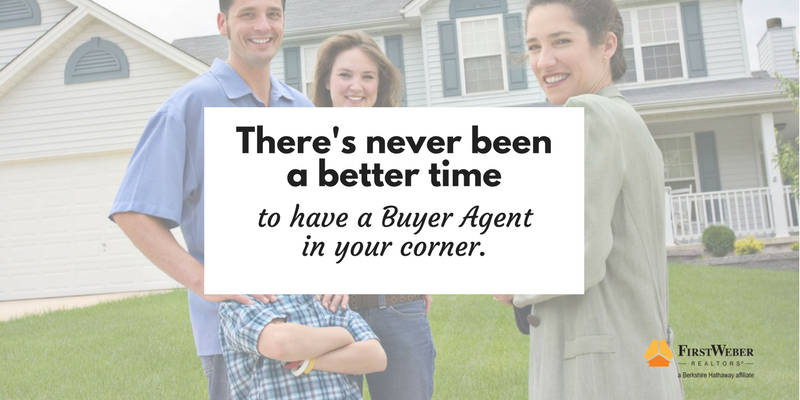 There's never been a better time to have a Buyer Agent in your corner. There’s never been a better time to have a Buyer Agent in your corner. In a competitive real estate market like we are in right now – with multiple offers and buyers fighting over homes – there’s never been a better time to sign a Buyer Agency agreement. In the traditional home buying process, a real estate agent who is working with a buyer without an agency contract is, by law, working on behalf of the seller. They will work with the buyer but are required to advocate for the seller’s best interests. Did you know that? So… how do you get an agent to work on behalf of YOU, the Buyer? Sign a buyer agency agreement. Signing a buyer agency contract creates a legal responsibility between the home buyer and the agent. It allows your buyer’s agent to work for you, not the home seller. What are the specific benefits of having a buyer’s agent? A buyer’s agent can advise on, write the offer and draft provisions in your best interest. A buyer’s agent can prepare an estimate of value for a property of interest and express a professional opinion of the property. A buyer’s agent can negotiate on your behalf throughout the transaction. Both traditional agents and buyer agents have certain duties such as to treat you honestly and fairly, disclose “material adverse facts” and assist you in the process to closing. But a buyer’s agent has a legal obligation to dig deeper into any situation which might jeopardize your best interests. Where can I learn more about First Weber’s buyer agency/buyer representation? A discussion on agency will be one of the first conversations you’ll have when you talk to an agent. You can learn more about buyer agency here. You can find a First Weber agent here. Happy Mother’s Day to all the Moms who make a house a home.